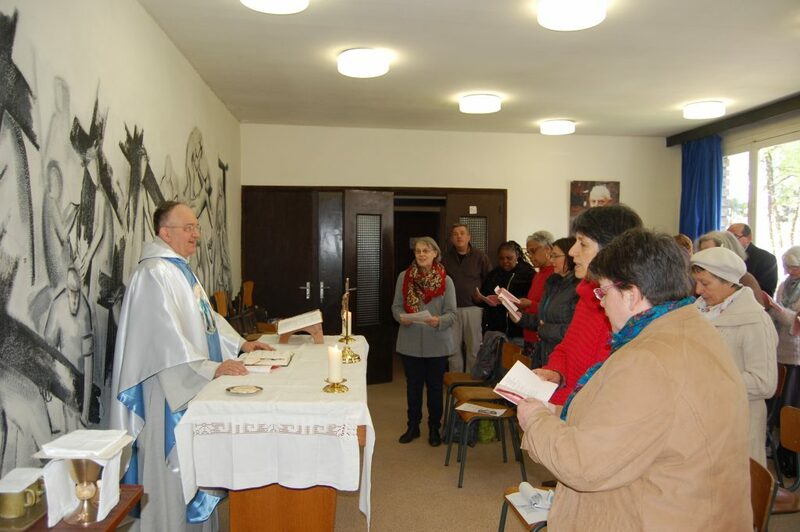 The Legion of Mary has a home, located near the Sanctuaries of Lourdes, with the aim of putting active and fraternal communities of Legionaries at the service of the local Church. One of the Legionaries’s tasks is to welcome visitors. Every day from may 1st to october 7th. 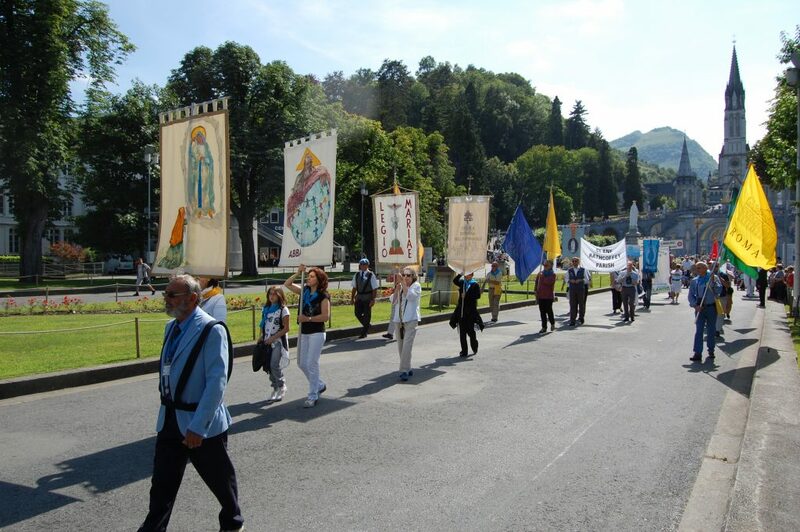 The aim, by receiving visitors, is to present the Legion of Mary to them, and also to know and exchange experiences with other Legionaries who are visiting Lourdes. 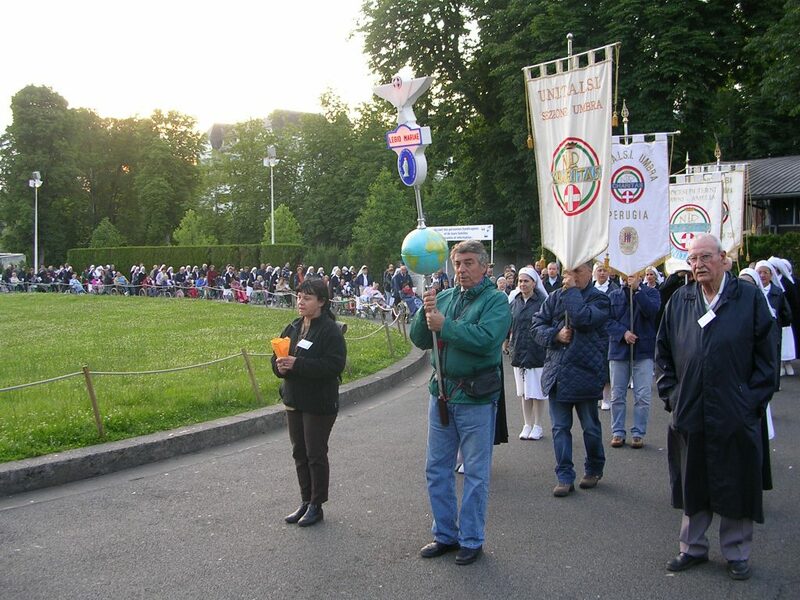 Pilgrims visiting us can be informed about the Legion of Mary as one of the possible apostolic activities in the Church, in or der to avoid that the pilgrimage at Lourdes becomes a short lived fervour. The legionaries who, passing through Lourdes, wish to share their experience, obtain documents, or widen their knowledge of details of our association. 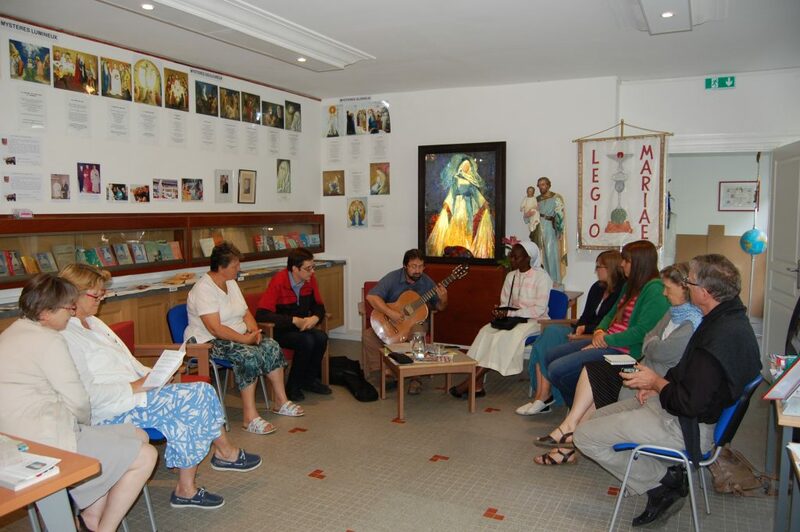 The daily Meeting brings together Legionaries from every countries of the world. Holy Mass is celebrated in this same hall, called « Frank Duff Hall ». 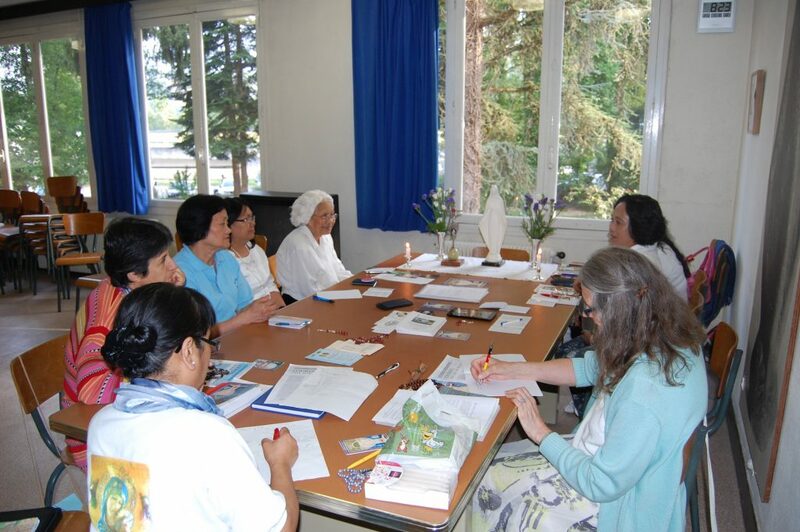 Systematic visits and contacts in the campings to spread the message of Lourdes and to invite isolated pilgrims and tourists to the Day Pilgrimage. Meeting tourists and isolated people in town, outside the Sanctuary, to spread the Message of the Holy Virgin. The Legion of Mary is present every day, with the banner at the Holy Sacrament procession and, with the Vexillum, at the marian procession. 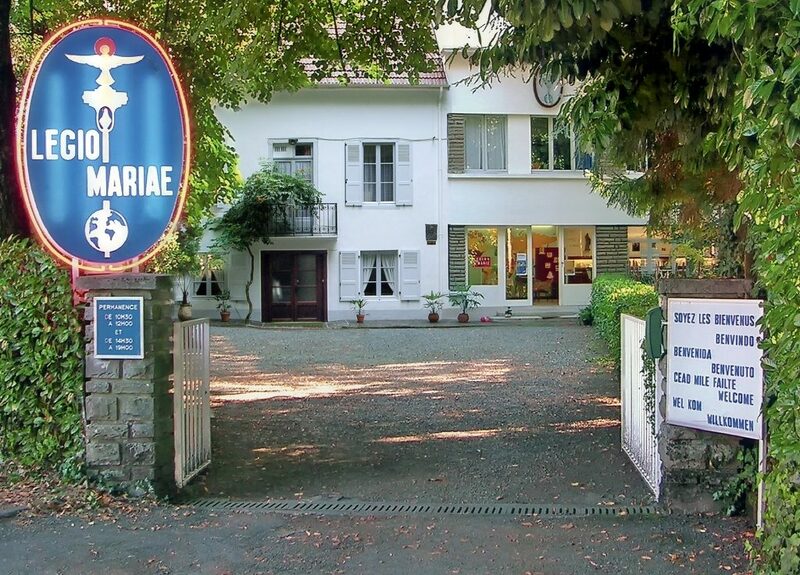 How did the Legion of Mary centre in Lourdes come about? In some ways it was imposed through circumstances; although there were difficulties in its realisation, we need to say that Our Lady of Lourdes and Saint Bernadette visibly helped us. In 1934, Frank Duff, who accompanied the first Irish pilgrimage to Lourdes, asked Cardinal Gerlier (then bishop of Tarbes and Lourdes) for his authorisation to found a group in Lourdes: “You’re at home here”, replied the Prelate. Despite this spontaneous welcome, because of the events of the period, there was no follow-up made at the time. It was only in 1948 that the Legion of Mary was installed in Lourdes. Then, in December 1955 we were offered some land, on which – after many ups and downs – the current centre was finally built. To understand the necessity for this centre, we have to go back 1940. 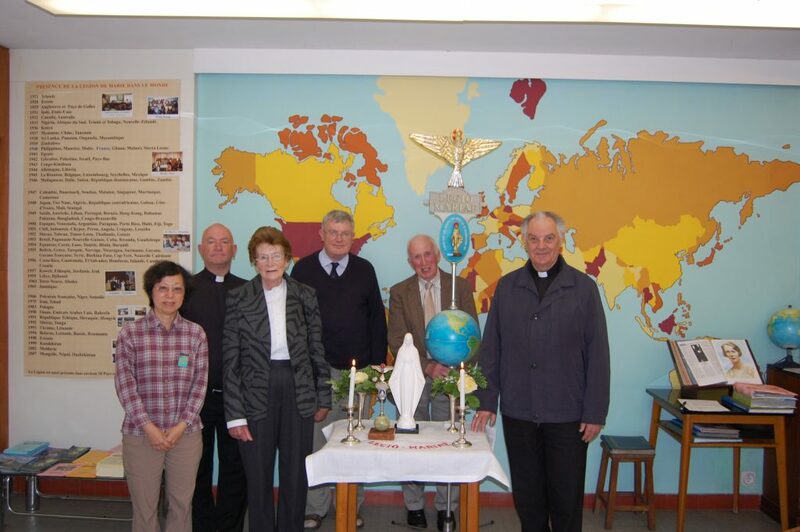 This is when the first Legion of Mary group was founded in France by a young Irish girl, Veronica O’Brien, who had been delegated to extend the Legion of Mary to our country. In the midst of the war, she arrived in Paris which she had to leave very quickly: France was invaded. A family friend, who was also leaving, dropped her off in Nevers at her request, near Bernadette’s tomb. Thanks to the authorization from Mgr Flynn, Bishop of the diocese, and even though he advised her to leave France, she founded the first French Legion of Mary group in Nevers on 15 th August 1940, during the occupation.